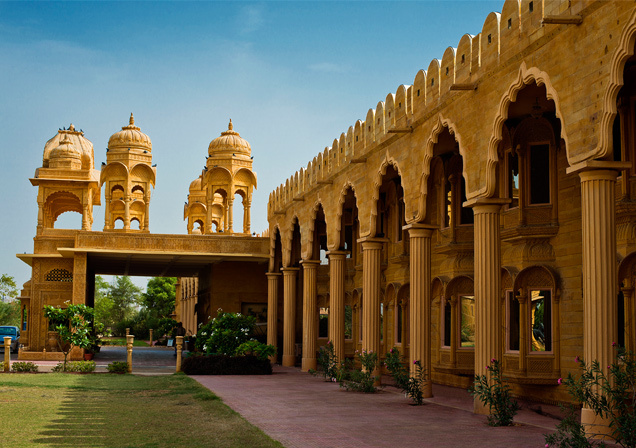 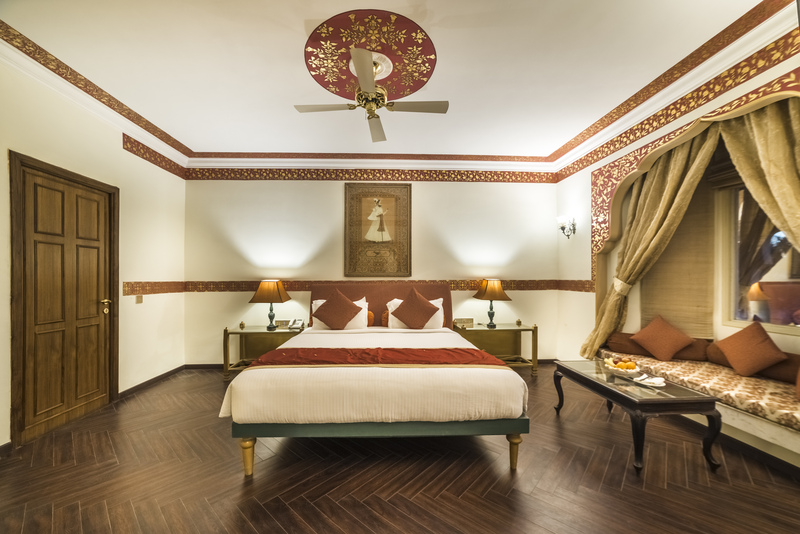 Feautring Imperial Rajasthani architechture, these rooms are reminiscent of the Palatial rooms of "Sena Pattis" or commader-in-chiefs of rajput armies. 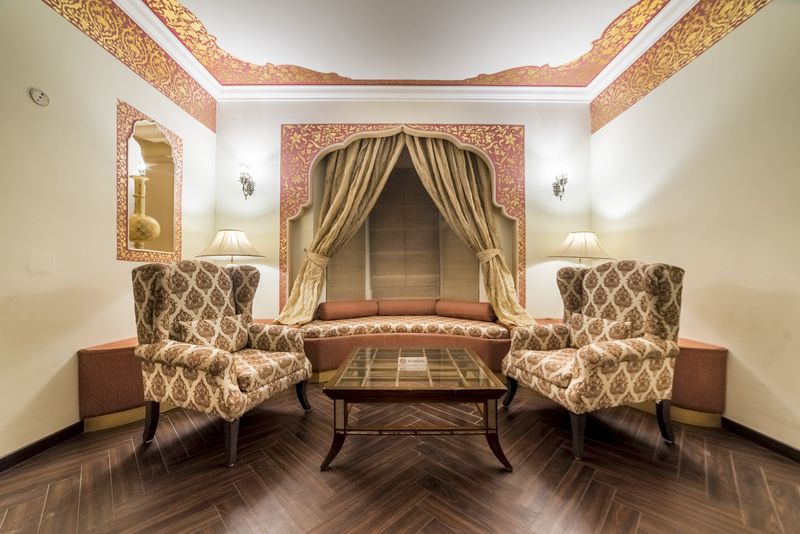 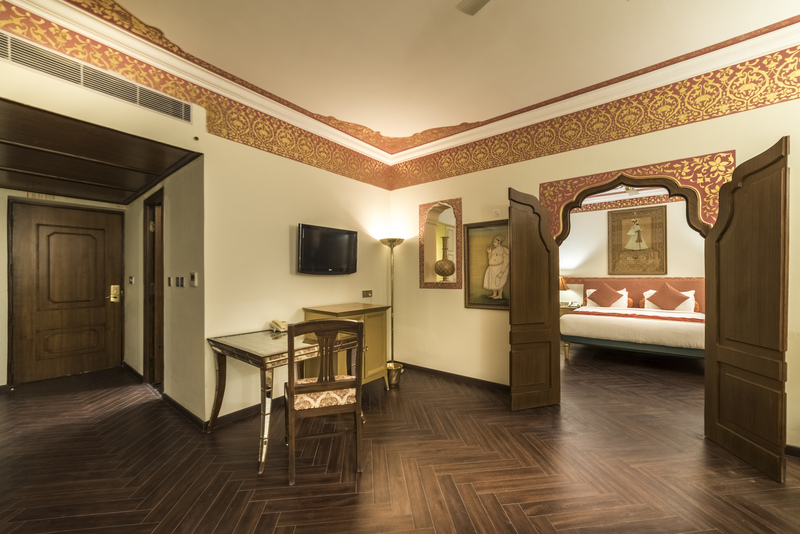 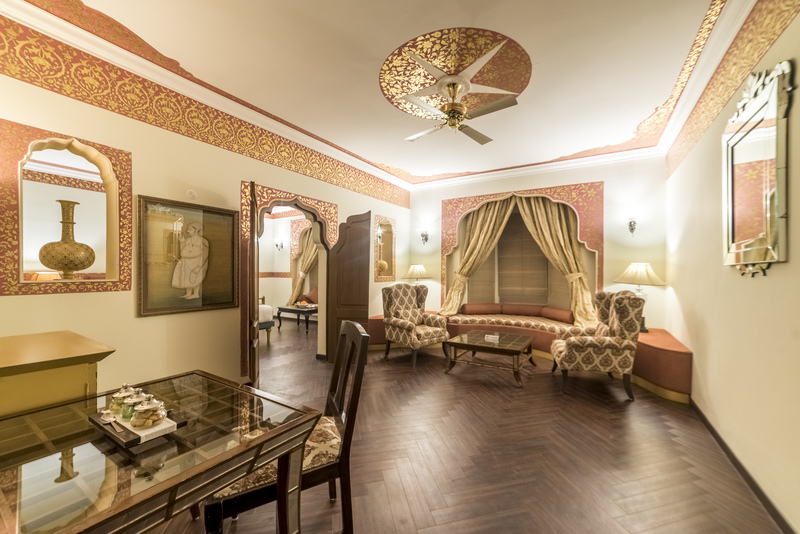 With a seperate dining area and two spacious bathrooms, these suites truely imitate the Imperial Rajasthani Lifestyle. 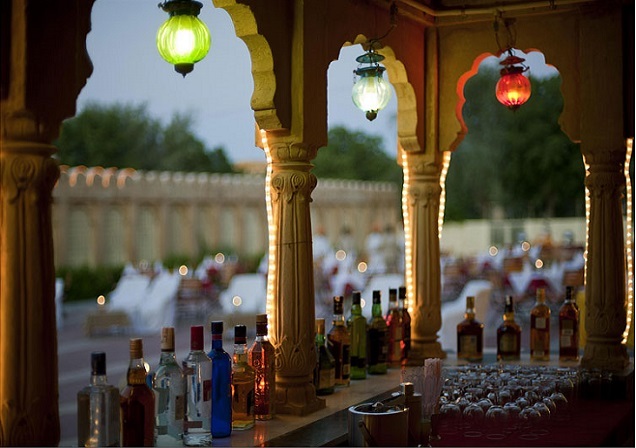 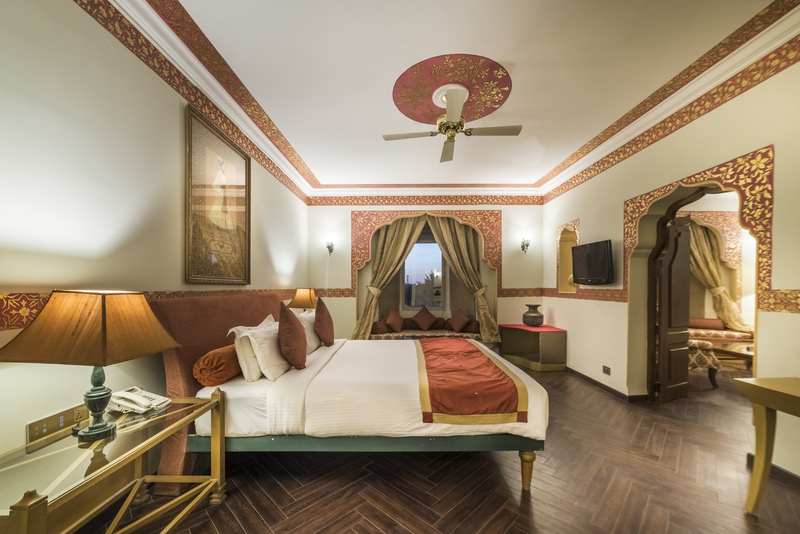 The rooms have integrate interiors done by local artisans who for generations have been responsible for decoration and designing walls of the rooms of Rajput Royalty.